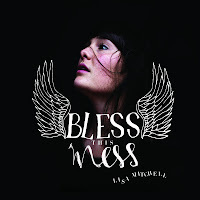 So if you weren't aware, Lisa Mitchell's new album Bless This Mess was released today and so I thought I should share one of the outstanding tracks. "The Story of the Raven and the Mushroom Man" (that's a mouthful) is probably the most upbeat track on the album, but then again there's nothing like an upbeat song to put you in a good mood. It's good to see that Lisa has maintained that sense of innocence that accompanied so many of her previous releases.